Gain powerful insights and receive clear guidance to support you on your journey. Choice of in-person Adelaide, online directly to your inbox, or via Skype. 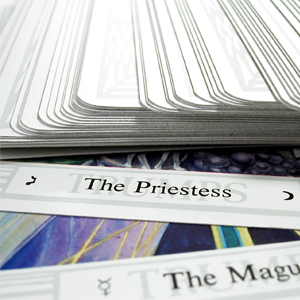 Cards are intuitively selected and interpreted in love and light for your Highest purpose. You can ask a question, or request guidance around a particular situation, or simply allow me to read with the intention of it being exactly what you need to hear at this present time for your highest good. 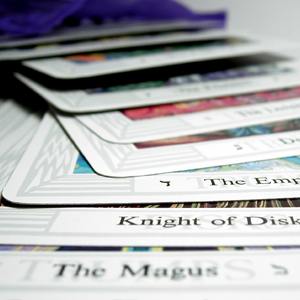 All readings are supported by crystalline Earth energies and for distance online readings, your written report will include visuals of the cards drawn. 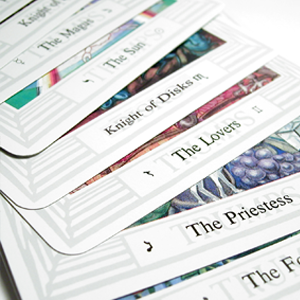 I work with the Angel Tarot – a beautiful deck incorporating the imagery and energies of the four elements (Earth, Air, Fire, Water) and the support of the Mermaids, Dolphins, Dragons, Fairies and Unicorns – and The Druid Craft Tarot – a stunning and rich deck which resonates very deeply, honouring the natural cycles of Gaia, Mother Earth, and the rhythm of her seasons, including deep roots of Numerology, Sacred Geometry, Animal Spirit Guides, Sacred Stone Circles and more. 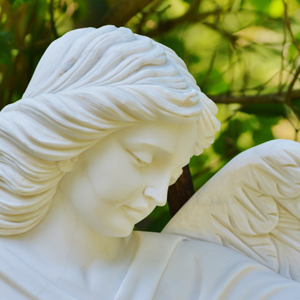 In-depth insight into a particular situation or guidance around the energies currently manifest in your life using the Angel Tarot – we come together to chat and discover. In-person appointments are available local to Happy Valley, SA. $10 due on the day if travel is required around Adelaide – you will be notified if this applies at time of setting an appointment for your reading. Receive clear guidance and powerful insights into a particular situation, or around the energies currently manifest in your life and the upcoming near months. Online reading – delivered to your inbox. Gain in-depth insights and receive clear guidance around the basis of your situation, including the challenges, influences and a way to resolution. Choice of a general reading to reveal how life is currently unfolding for you. This reading draws from more cards and includes deeper insights and guidance than those received from a 3-card spread. Online reading – delivered to your inbox. Find out what each month may hold in store for you during the year ahead. Awareness helps you to navigate your way through life more effortlessly. Gain in-depth insights and clear guidance via a thorough written report – delivered to your inbox and perfect to refer to time and again. Please note that readings are carried out in this present moment, in love and light, with the intention of providing insight and guidance for only your highest good. You alone are responsible for your future based upon your own free will of choice. Get in touch to request a reading or ask a question. Namasté : I honour the place in you in which the entire Universe dwells, I honour the place in you which is of Love, of Integrity, of Wisdom and of Peace. When you are in that place in you, and I am in that place in me, we are One.